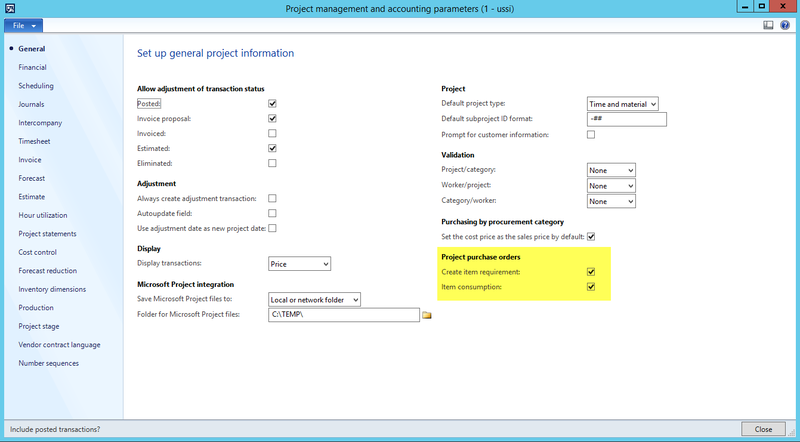 In Dynamics AX 2012 R2 two new project parameters have been implemented that might have an influence on your vouchers that Dynamics AX creates when posting purchase order related project transactions. 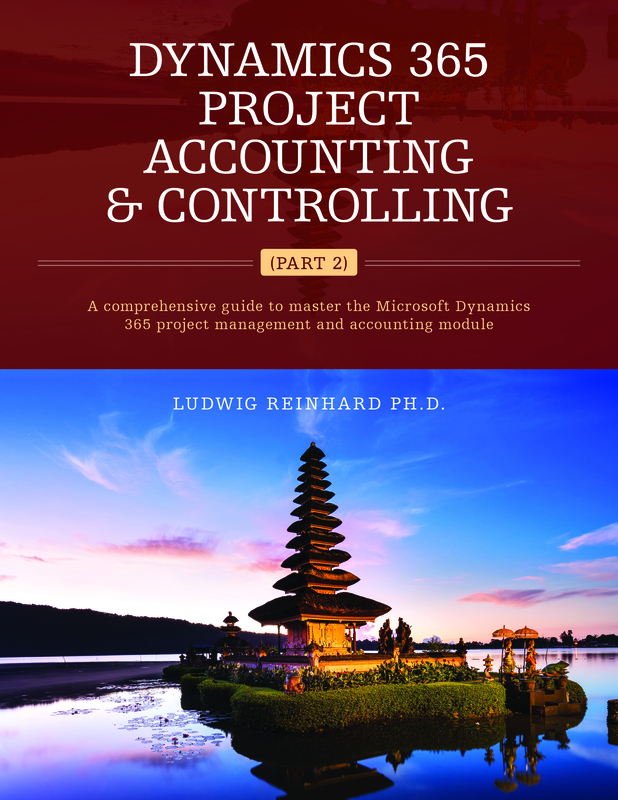 Those parameters can be found in the general section of the project parameters form. Please see the following screenshot. 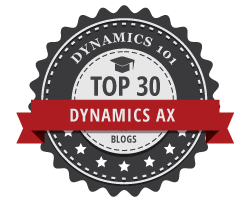 If you deactivate both parameters, Dynamics AX behaves exactly as in previous versions. That is, the item costs hit the project at the very time the vendor invoice is posted (highlighted in yellow color in the following illustration). 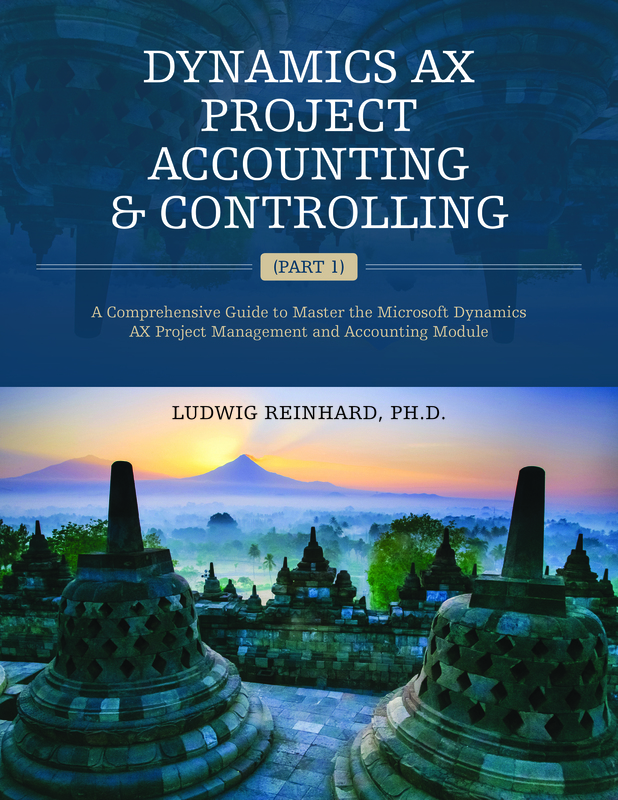 On the other hand, if you activate the newly introduced parameters, Dynamics AX automatically creates an item requirement at the time you create a purchase order for your project and item costs hit your project when the product receipt is posted. One advantage of this behavior is that you can directly invoice your customer for the item costs and do not have to wait until your vendor’s invoice is posted. 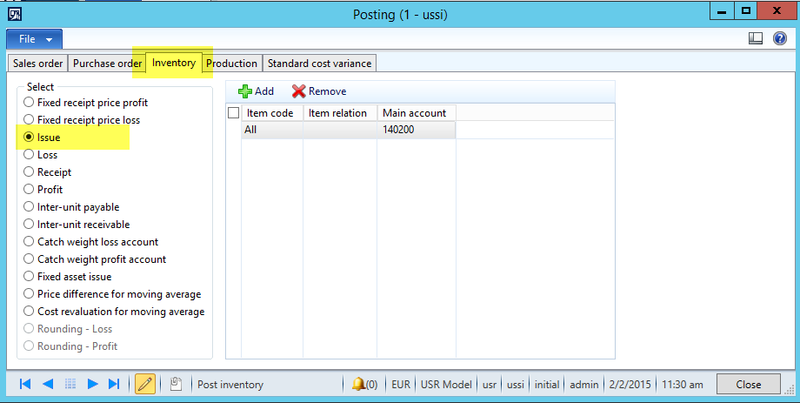 Yet, if you take a close look at the voucher created you can find that Dynamics AX uses a different posting type for the inventory issue transaction. The following two screenshots illustrate the different posting types used depending on whether you activate the new parameters or leave them deactivated. The change illustrated does not seem to be a major issue. 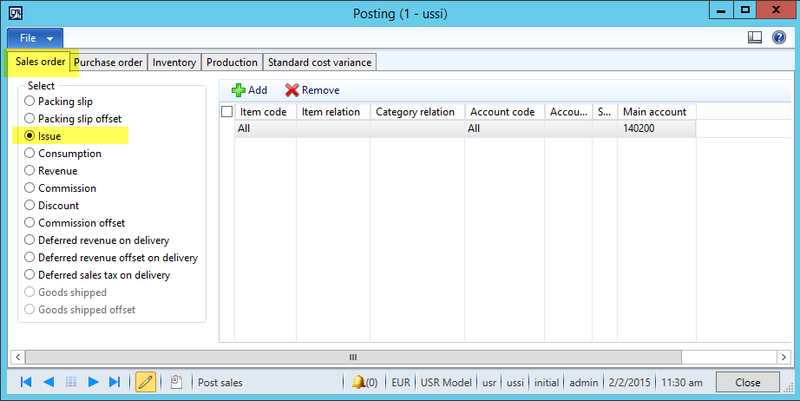 Yet, it can quickly become one if you use different issue accounts for sales order postings and inventory postings. Also remember to consider those differences when you reconcile your inventory with your general ledger.